We are manufacturer and Exporter of Neutraceuticals Capsules in all Countries. We Export Neutraceuticals Capsules in Algeria, Angola, Benin,Botswana,Burkina Faso,Burundi,Cameroon,Central African Republic,Gambia, Ghana, Guinea, Kenya, Liberia, Libya,Malawi,Morocco, Namibia,Nigeria, Niger, Reunion, Rwanda, Somalia, South Africa,South Sudan, Sudan,Swaziland, Tanzania, Togo,Uganda, Zambia, Zimbabwe, Yemen,Vanuatu, Venezuela, Vietnam, Uganda, Ukraine, United Arab Emirates, United Kingdom, United States, Uruguay, Uzbekistan, Tajikistan, Tanzania, Thailand, Turkey, Sudan, Suriname, Swaziland, Sweden, Switzerland, Syria, Sri Lanka, Spain, Somalia, Slovakia, Singapore, Serbia, Saudi Arabia, Romania, Rwanda, Russia, Qatar, Paraguay, Peru, Philippines, Poland, Portugal, Pakistan, Palau, Panama, Oman, Namibia, Nepal, Netherlands, New Zealand, Norway, Nigeria, Montenegro, Morocco, Monaco, Mongolia, Mexico, Maldives, Malaysia, Malawi, Macedonia, Macau, Liberia, Libya, Afghanistan, Algeria, Angola, Argentina, Australia, Austria, Bahamas, Bahrain, Bangladesh, Belgium, Benin, Bermuda, Bhutan, Bolivia, Botswana, Brazil, Bulgaria, Burundi. 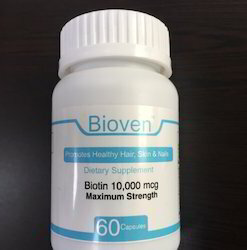 We are offering Biotin Capsules to our Clients. 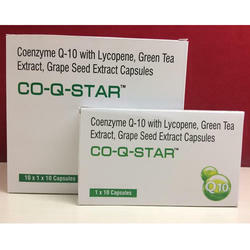 We are offering Coenzyme CO- Q- STAR Capsules to our clients. 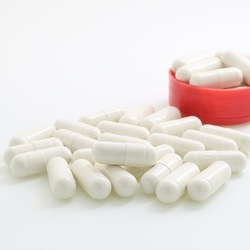 Probiotic Capsules are live bacteria and yeasts that are good for your health, especially your digestive system. We usually think of bacteria as something that causes diseases. But your body is full of bacteria, both good and bad. Probiotics are often called "good" or "helpful" bacteria because they help keep your gut healthy. Probiotics are naturally found in your body. You can also find them in some foods and supplements. 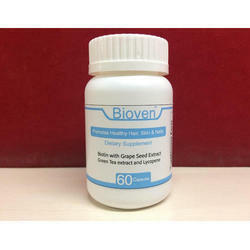 We are offering Vitamin D3, Inositol, L Methyl Folate Capsules to our clients. 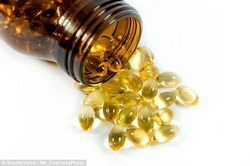 We are offering Omega 3 Fatty Acid Capsules to our clients.